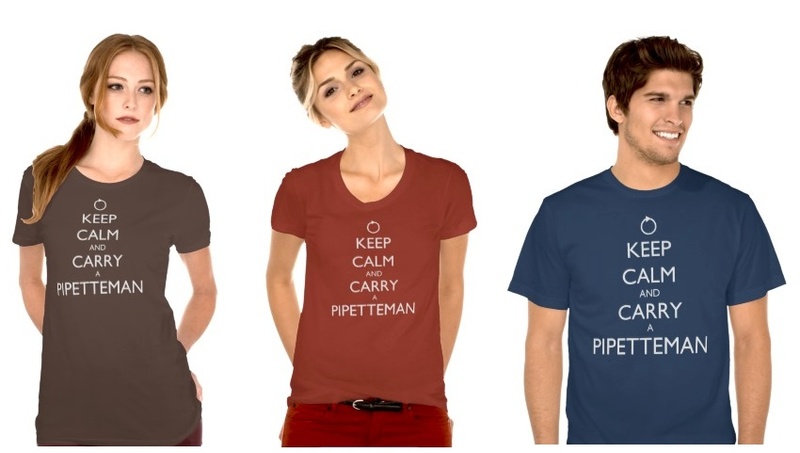 Calling all artists with a soft spot for science geekery! Trading card game art commissions: Leave your portfolio link below. 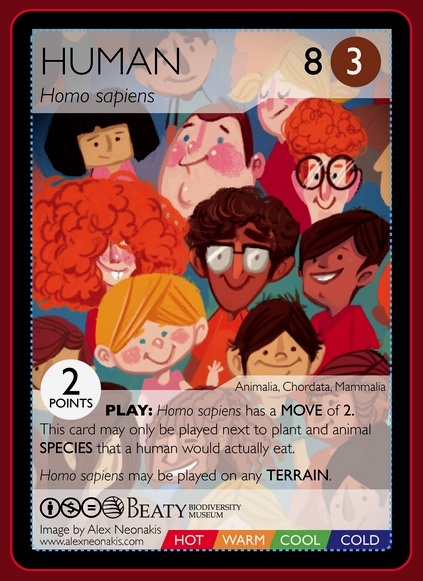 These cards at the Phylogame website rock! 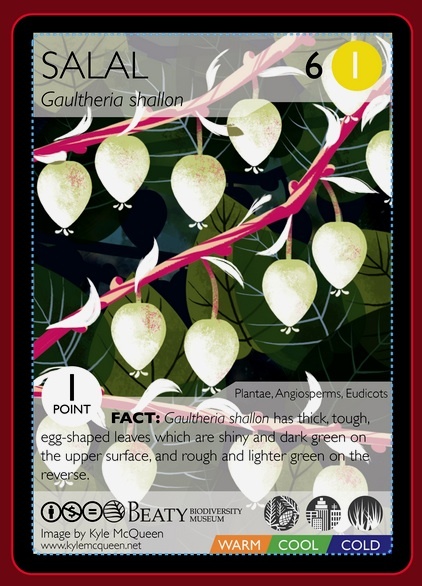 And in case, you’re new to the Phylomon idea, it’s basically a crowdsourced art, science and gaming project that initially revolved around the reality of children knowing WAY more about Pokemon than they do about the flora and fauna around them; and has since sprawled into this multi faceted STEM based card game project here). 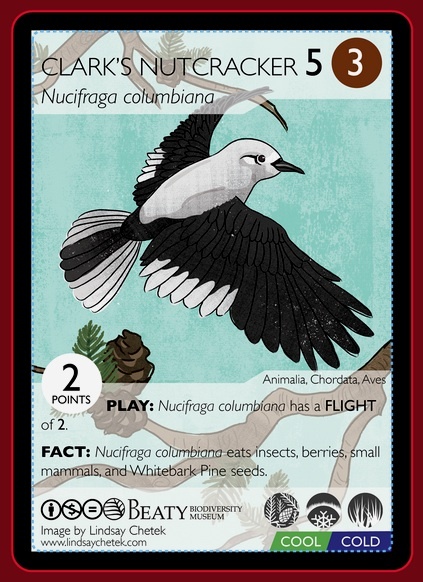 This is also a post to say that I’m on the lookout for artists to contribute to upcoming Phylo “decks.” In particular, we’ve got funding to seek out art contributions at about CAN$200 per image (currently roughly equivalent to US$150 per image), with a preference of hiring each artist to contribute at least 5 or so images at a time. Image copyright would remain with the artist, but we ask that the phylo project is allowed to showcase them online in card format in a non-derivative, attribution, non-commercial manner; as well as allow non-profits, museums, educational institutions to use the image (but only in the form of phylo cards) in physical decks that may be sold only for agreed upon outreach project fund raising purposes. 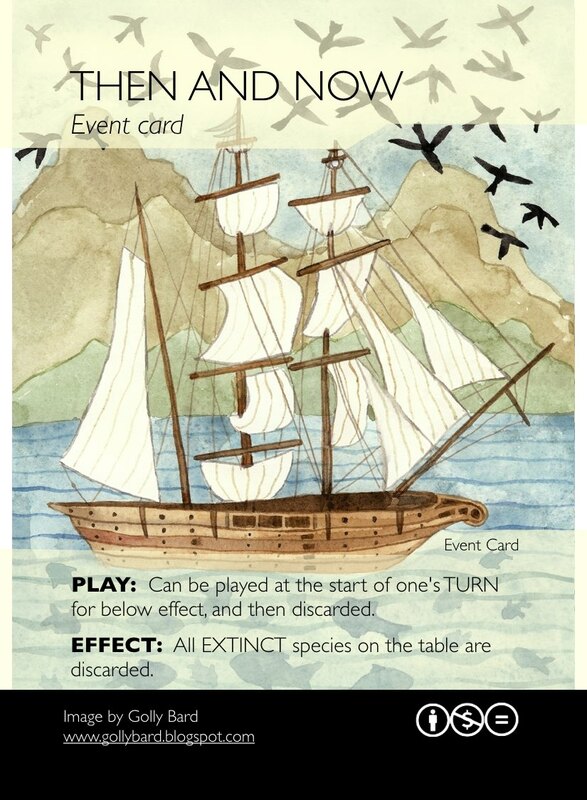 An example of a work in progress from the Voyage of the Beagle deck commission. Here Robert Ball decided to have a little fun with his task, and linked his commissions into one giant image. 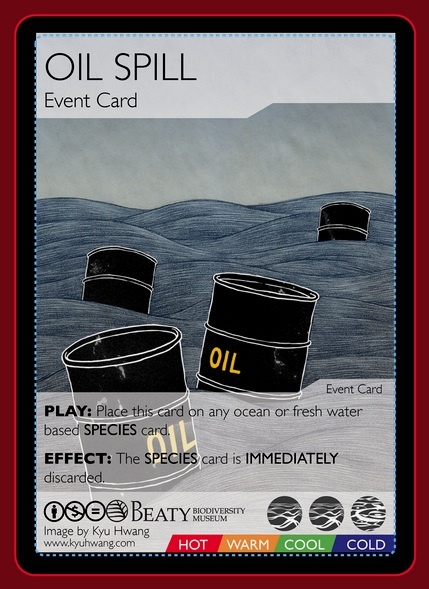 There’s two decks that currently need illustrating. 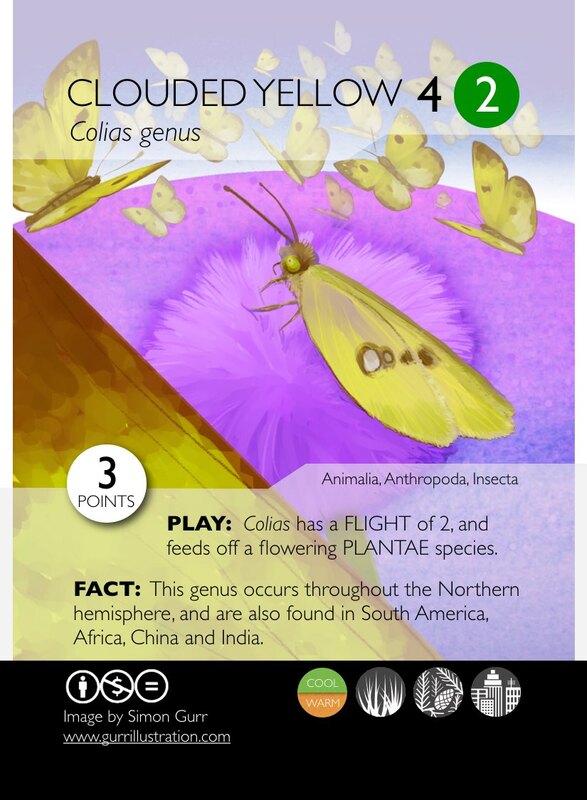 One is the Genetics Society of America deck – in particular, the cards representing the model organisms need images. And the other is a deck that will focus on awesome women in science and engineering (looking for folks good at portraiture here). 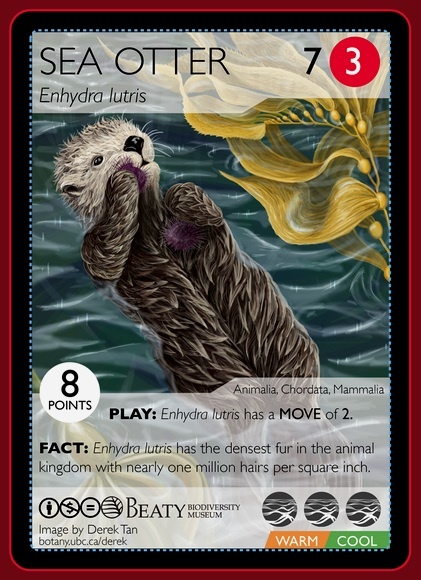 For the GSA (Genetics Society of America) deck, there are a number of key model organisms that will need cards. These include some new imagery for the above. Anyway, if you’re a freelance artist and the project (and the pay) sounds interesting to you, then please do leave your portfolio website in the comments below (we’re also going to contact a few artists who have already so nicely allowed us to use existing art). As well, just so you know, we’re looking for a wide variety of different art styles. 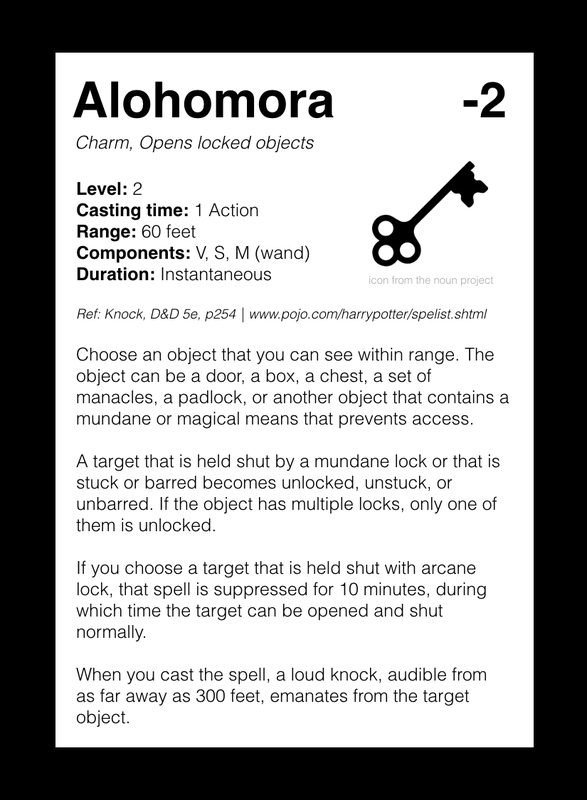 Oh… And if you want to see more of our existing catalog of cards, then just go to http://phylogame.org/cards. Here is a quick version of the scientific method: aside from the problematic diction, does it still work? I just banged this out. I know it’s not the clearest (it’s not necessarily meant to be), but does it still more or less fit? 6. does this new stuff change how you think about the old stuff you’ve seen (if yes, go back to 2 but think harder; if no then go back to 3 and test harder). 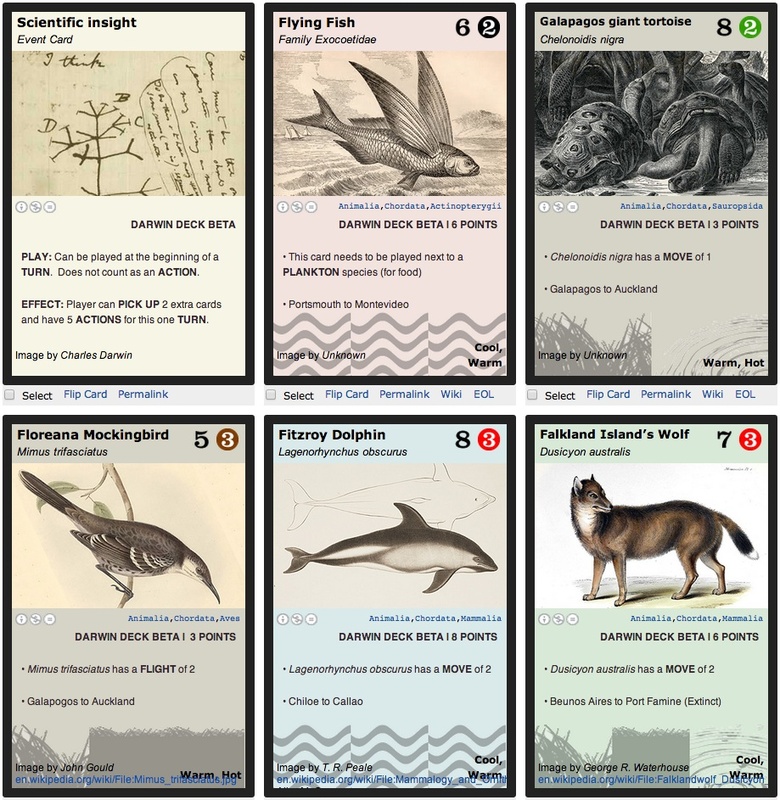 The Women in Science and Engineering Card Game Grant: For your reading pleasure. 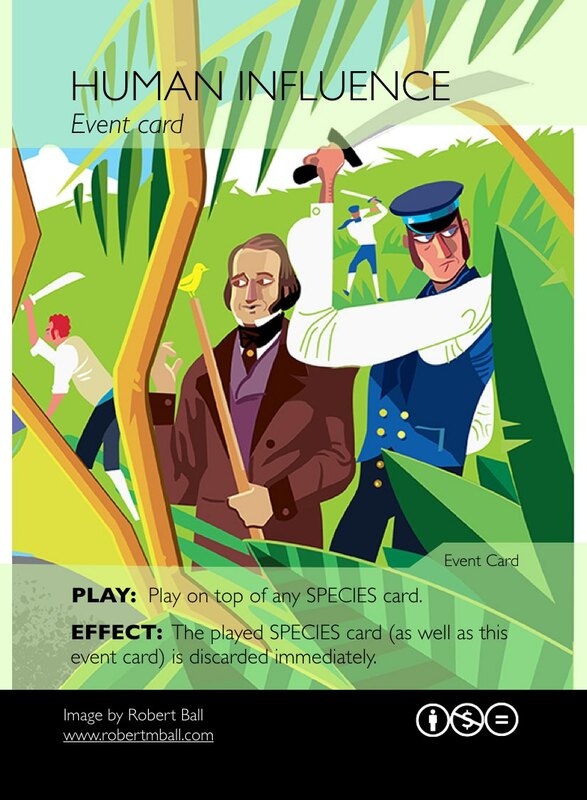 So, a couple of weeks ago, I tweeted the fact that my lab managed to secure some funding from WWEST to start working on a Phylo card game deck that revolves around Women in Science and Engineering issues. I’m just about to place an ad in UBC’s career site, in the hopes of attracting a stellar student team that will take on the initial stages of this project. In any event, in the interest of being open, I’ve copy pasted the grant below so you can check it out. I’ve also been chatting with a few colleagues who I think would make great advisors on this project, but the entire endeavour is ultimately going to thrive on as much constructive feedback as possible. 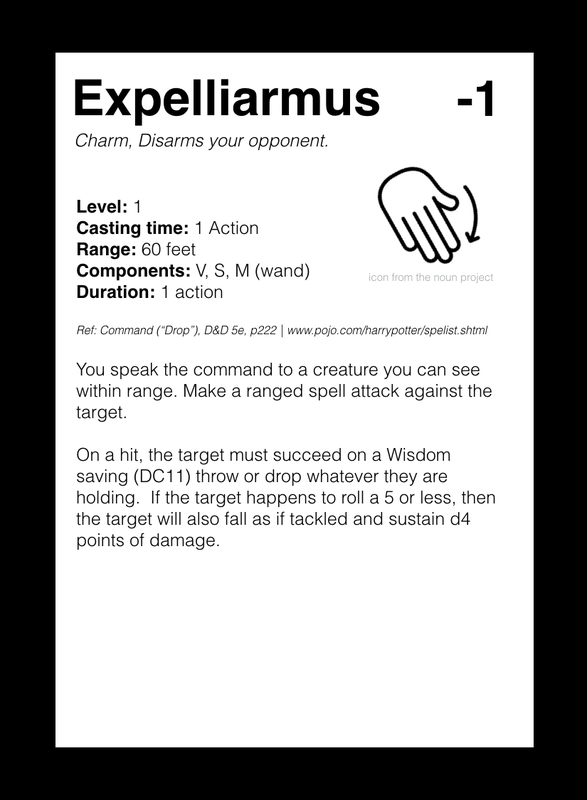 In this regard, leave a comment below if you think you might be interested in beta testing the deck when we have our first edit playable version. AMBL (Advanced Molecular Biology Laboratory) is a fully equipped research space dedicated to the development, delivery and research of projects that provide experiences in the realms of science literacy, science communication, and science education. 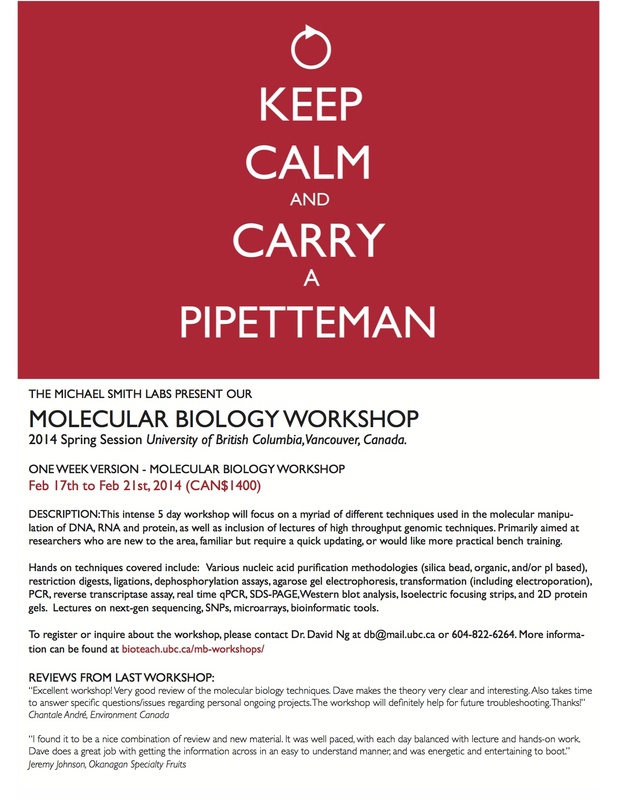 Situated within the Michael Smith Laboratories, AMBL hosts a diverse range of programs ranging from authentic research field trip programs, provision of publication outlets for creative science writing, as well as projects that engage in the interdisciplinary intersections between science and other cultures (please see http://bioteach.ubc.ca for full details). 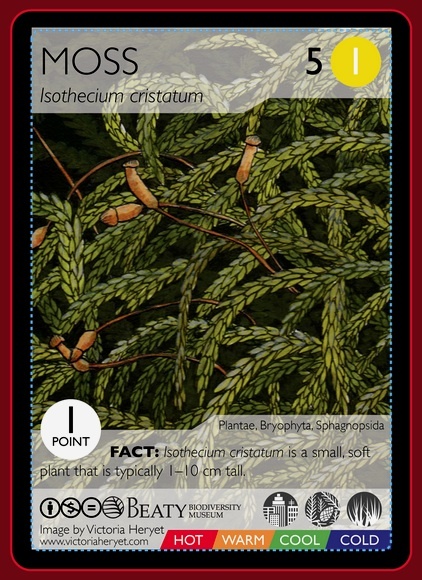 Currently, one of the lab’s more unconventional projects revolves around aggregating expert and non-expert activity around the creation of a trading card culture that focuses on science generally and biodiversity specifically. 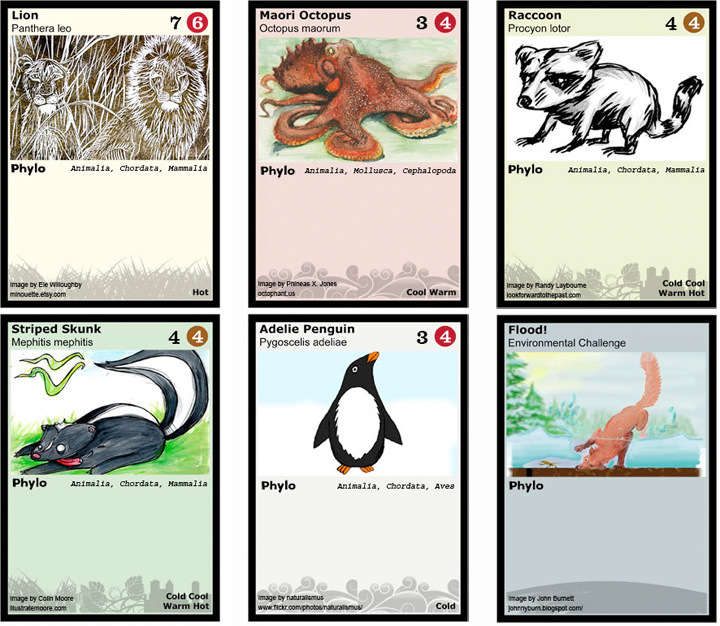 Called the Phylo Project (see http://phylogame.org), this endeavour has culminated in an open access process of card, deck, and game creation that has provided an invaluable resource for the education community at large. 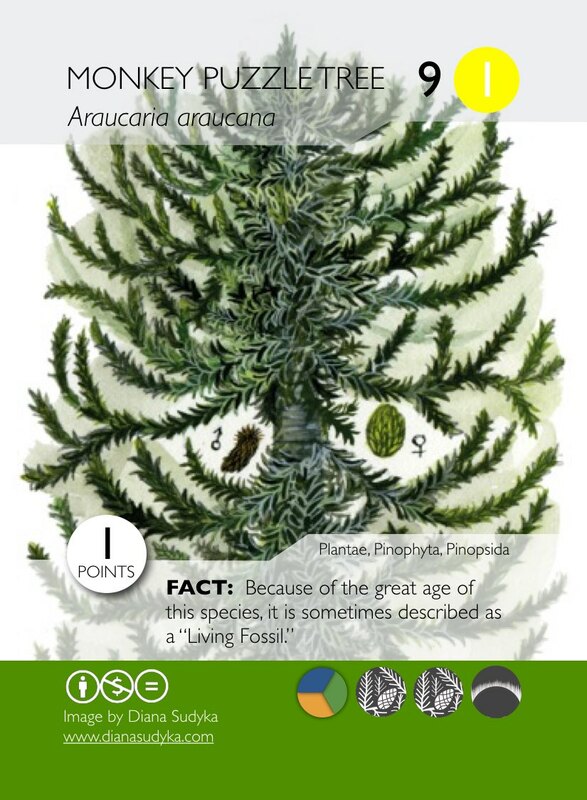 As well, the project has been in fortunate to include the support and collaboration from a variety of notable partners that span the academic (UBC), museum (London’s Natural History Museum, American Museum of Natural History NY, Beaty Biodiversity Museum), digital curators (Encylopedia of Life), scientific organizations (GSA – Genetics Society of America), publishing (O’Reilly), non-profit sector (The Beagle Trust), and education (various school classrooms) communities. 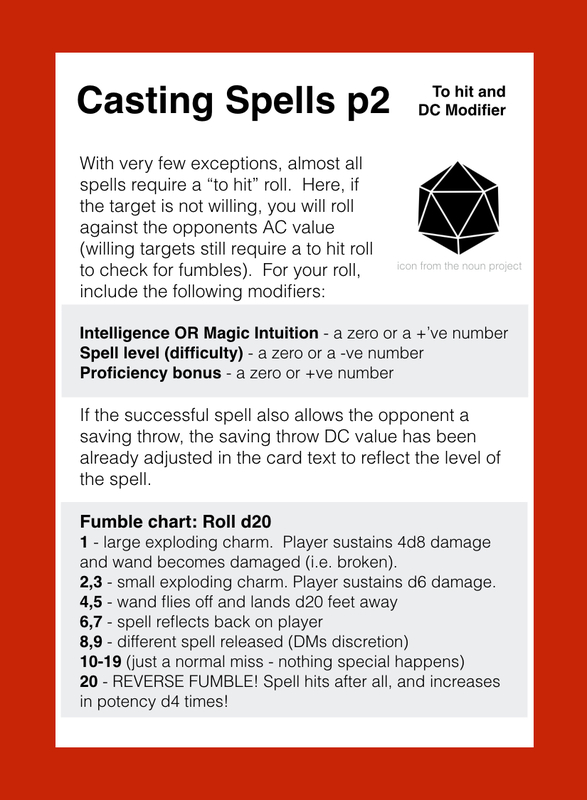 Currently, two primary game mechanics have been devised and thoroughly play tested, whereby a variety of standalone and interchangeable decks are available in both free “print your own” online and purchasable print formats. 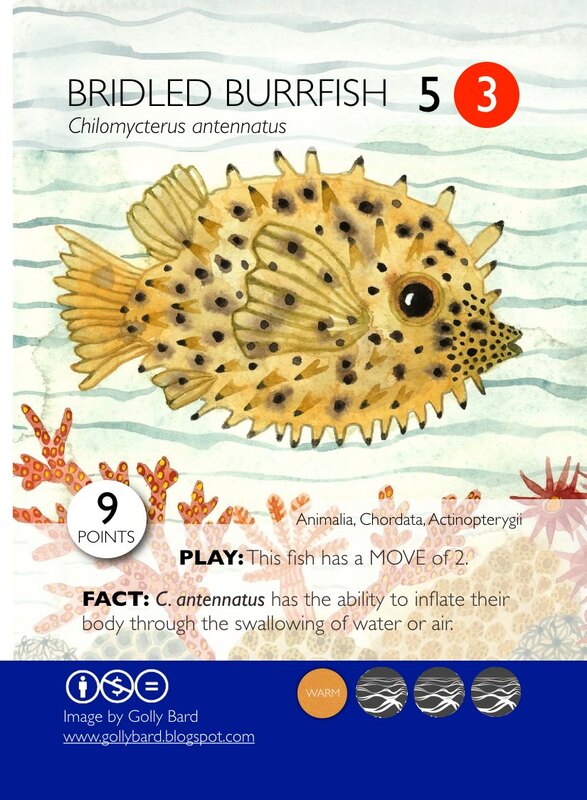 Leveraging the already available expertise and resources developed via the Phylo Project (and in particular, the work done on the soon to be released GSA deck which focuses on the “process of science”), AMBL proposes the use of grant funding towards the production of a playable card game that is explicitly designed to embed a variety of important learning objectives around the subject of women in science and engineering. The funding will essentially be used to hire a team of 3 senior undergraduate or graduate students who will work part time with the lab (wage at approximately $15/hour over a one semester timeline), and using existing resources and Phylo game mechanics. 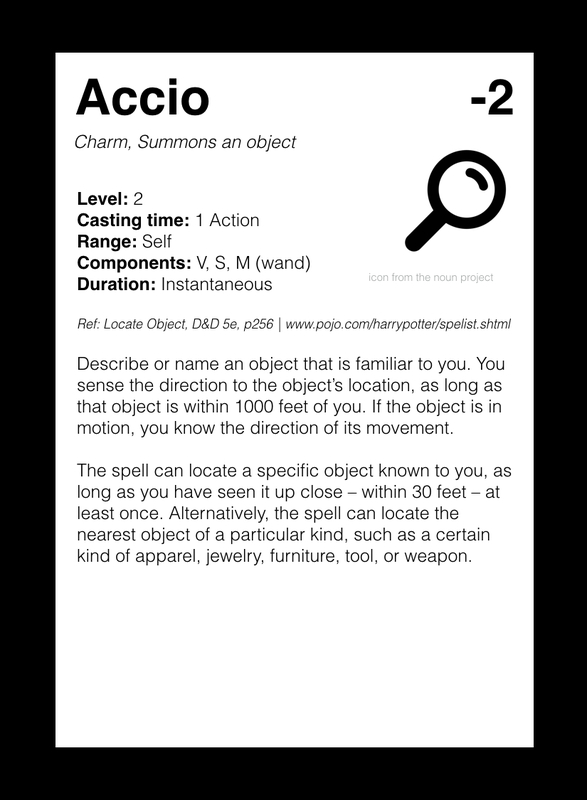 Specifically, this team will be given the following objectives: (1) to research, evaluate and design the content presented on the cards; (2) to determine whether modification of existing game mechanics is required; (3) to produce a playable and playtested beta card game; and (4) to create a number of prototype lesson plans that can be used with the resource in light of existing provincially determined IRP requirements. 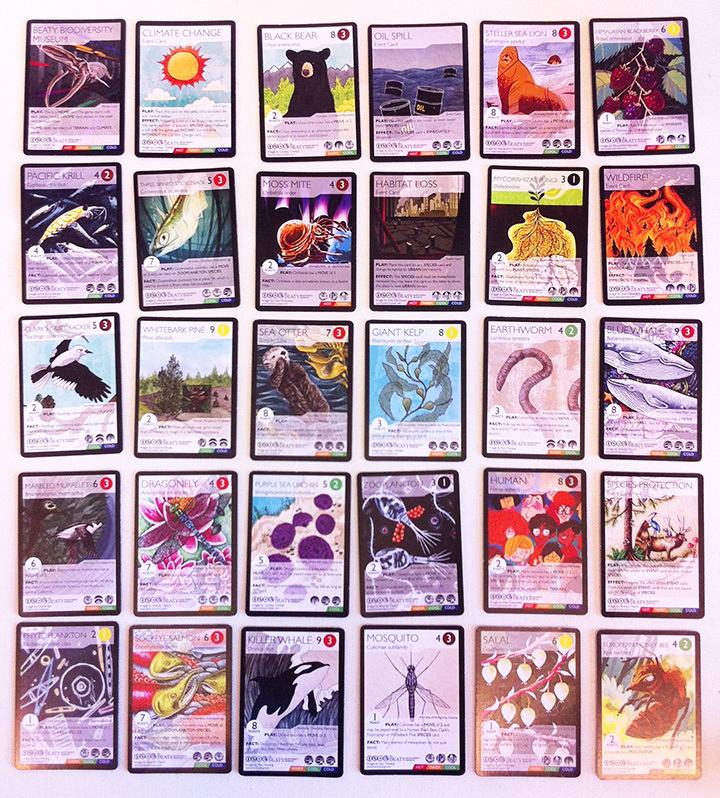 AMBL in turn will provide additional in kind funding to commission professional artists and graphic designers to ensure that the aesthetics of the card game is pleasing to both the educational community and the gamer community at large. 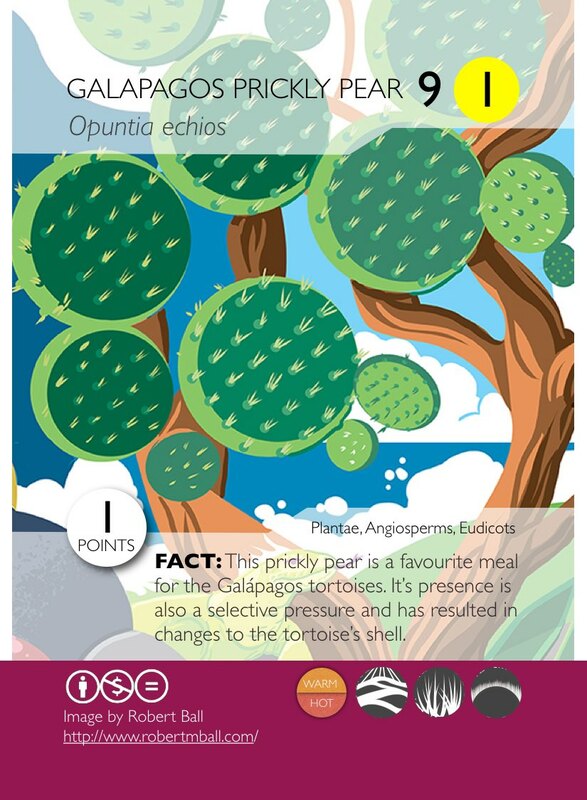 The final product, like all Phylo related materials, may be branded accordingly (for instance, it could be called the WWEST deck), and will be made available for both free online access and via revenue neutral purchasing modes of distribution. Beta decks are envisioned to be available by April of 2015, whereas final decks (with commissioned art) should be ready by late 2016. 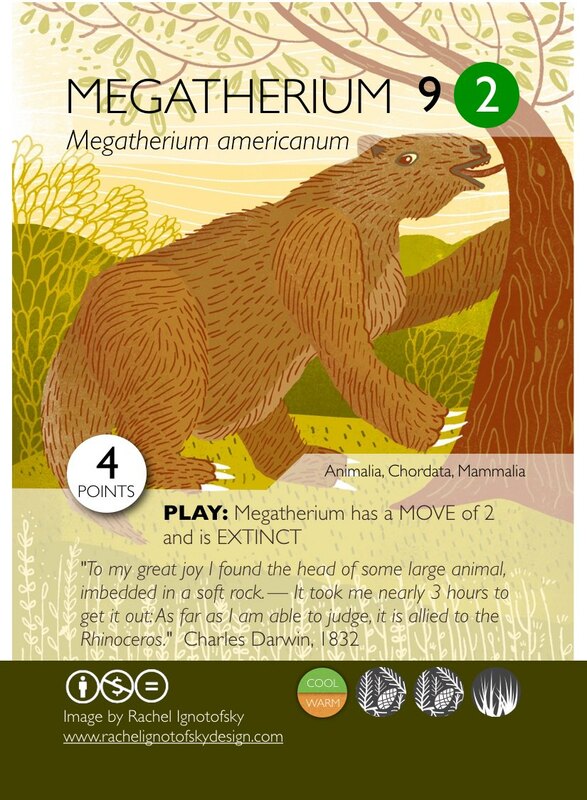 Furthermore, the lab is currently slated to use a variety of different Phylo card games to introduce “hackathon” principles in lesson plan design. This programming would be offered as recurring teacher professional development workshops, with the full expectation that this “Women in Science and Enginnering” deck will be utilized. 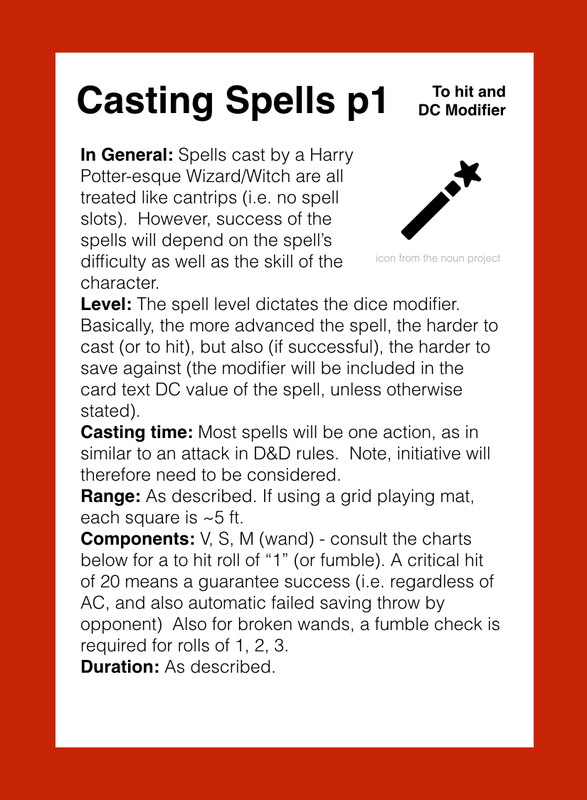 This would provide a means for continued presence, promotion, and also creates circumstances where iteration and assessment of the card game can effectively occur. Note that we are fully aware and sensitive to the nuances involved in broaching this complex topic. In fact, a crucial part of the project will evaluate what elements of the STEM/feminism culture do we tackle first, since some things are easier to do (i.e. highlight awesome female scientists/engineers), whereas some will take more nuance (i.e. highlight some of the challenging issues found within the women in science culture). Because the Phylo system is expandable, it is feasible to work on one facet first, as a stepping stone to tackle others. 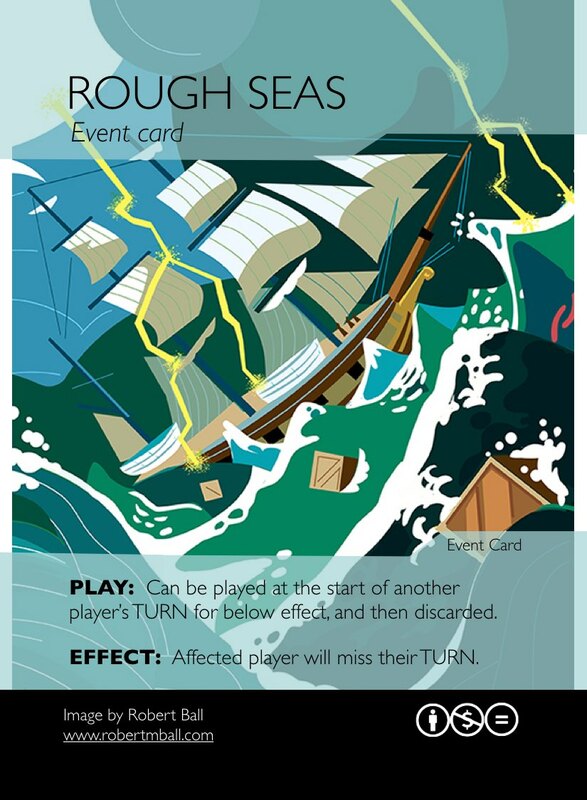 Overall, however, we will be cognizant of the card game working well somewhere in the curricula of the average North American K-12 system, but also want to make sure that we do not leave out elements of the game that provide the player some insight of the cultural challenges in STEM related gender roles. This project is novel because it represents one of the few attempts at introducing game-based learning techniques to promote the objectives of the Chairs for Women in Science and Engineering Program (see objectives listed at http://www.nserc-crsng.gc.ca/Professors-Professeurs/CFS-PCP/CWSE-CFSG_eng.asp). Game-based learning is a relatively new and exciting form of pedagogy that many teachers are curious about, but are currently unlikely to adopt because of their unfamiliarity with available resources, as well as their lack of confidence in logistics and implementation. This proposal aims to produce a tangible freely available game that is ready for easy use, upon which the AMBL lab is committed to provide a mechanism for continued and teacher directed lesson plan development. This will hopefully enable teachers to address a variety of different learning outcomes including those around identification of “role models in technological occupations, including those that are sensitive to culture, gender, and physical ability.” (Grade 9 Social Studies IRP, British Columbia). 1. The project will result in the production of a high quality trading card game that addresses issues in STEM and gender equality. More importantly, this is a tangible resource that will exist in perpetuity. This includes making the game available as a freely available online resource. Furthermore, the Phylo project has previously worked out a system for revenue neutral distribution of purchasable decks. This set up enables the existence of high quality versions of the game, which does not require any additional administrative support. As a result, this project provides the opportunity to create a legacy product, which in turn could act as a conduit to other similar projects. 2. The three university students hired will be given the opportunity to deeply examine the intersection of STEM and feminism: This we believe will be a transformative experience, as it will obviously involve proactive reaching out to a variety of individuals with different perspectives and contexts. The AMBL lab is well place make use of its own significant network, but this will also naturally include the community that WWEST envelops. 3. 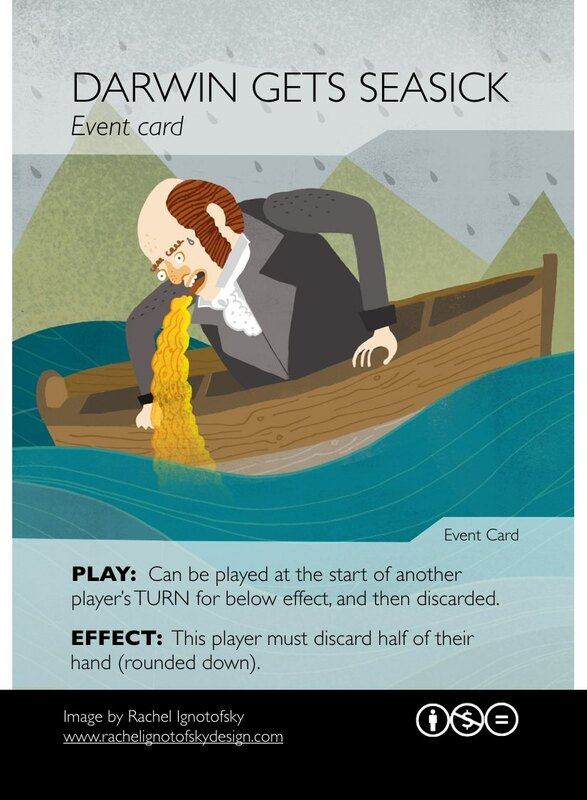 Given the widely disseminated and often heated narrative of this topic, the card game itself is likely to elicit great interest culminating in potentially achieving a wide reach. In particular, due to its open access nature (free versions available online), we envision great uptake from various internet communities, more so due to the overarching crowdsourced nature of the Phylo project. 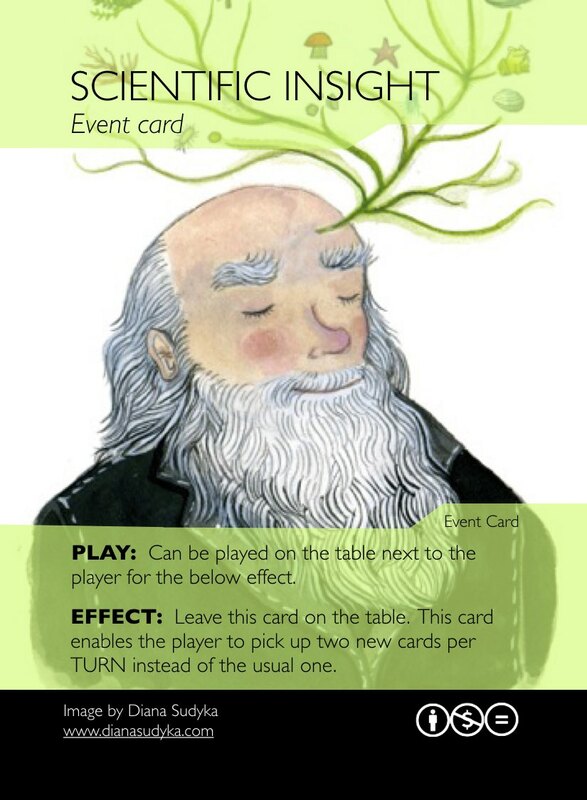 As well, given AMBL’s commitment to directly involve teacher professional development programming with the project, the card game will also have a guaranteed audience within the educational community. At present, it is hard to predict final outreach numbers, but we do believe that this project has the potential to generate great interest from the education, scientific, and media communities. 4. This project represents a concerted mechanism to embed more gender and diversity related STEM issues in AMBL programming. This, we feel, will create a greater expertise base within AMBL, so that more similarly themed programs can be developed in the future. 5. Although formal research assessment is not currently within the scope of this funding request, several of AMBL’s previous collaborators have already expressed some interest in exploring a research query around the effectiveness of game-based approaches in delineating and addressing gender related STEM issues. David Ng is currently being proactive in exploring possible avenues of research in this regard. Guided under the direction of Dr. David Ng, AMBL is a fully operational academic science literacy lab, that is situated within UBC’s highly lauded Michael Smith Laboratories. AMBL has full autonomy over its research lab space, and is managed via internal operating funds, as well as additional sources of revenue obtained from professional scientific workshops and a variety of successful education-based grants. 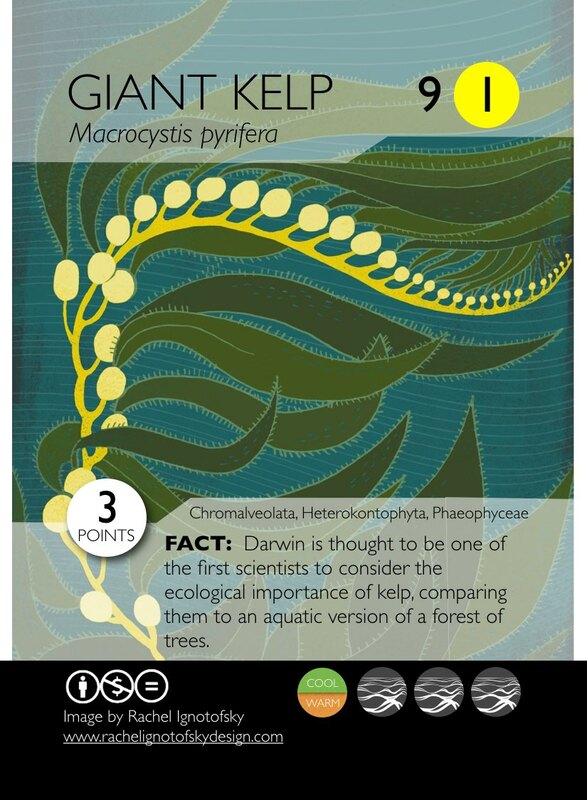 This card project should enjoy good sustainability because of the already established longevity and viral outreach of the Phylo project, as well as the lab’s long term interest in investigating game-based learning outcomes. This includes a proactive stance to incorporate use of these cards into our upcoming “hackathon” based teacher professional development programs (slated to start in the spring of next year). This will provide a more directed platform to introduce the game to the educational community, as well as provide a continuing mechanism for formal lesson plan development. Scientists say the Joint Review Panel Report that approves the Northern Gateway Project is flawed and ignores science. 2. The JRP reached conclusions contradicting the government’s own scientific evidence, including risks to large whales and other marine species. 3. The JRP unjustifiably dismissed the uncertain risks posed by diluted bitumen spills at sea as unimportant risks. 5. The JRP relied on information from the proponent, without external evaluation. 6. The JRP failed to adequately articulate the rationale for its findings. The open letter sent to the Prime Minister and asking him to reject the JRP panels can be viewed in full here. The report for the JRP can be downloaded here. I have to say that this continued anti-science behaviour from the Canadian Government is so devastating that I feel like the Harper Government now deserves its own meme: hence the silly meme above that is not only animated, but depicts the seriousness of the situation with an elevated facepalm category- the MEGAFACEPALM. Please share widely. (Note: a high quality animated gif can be found here). Vancouver, BC (Tuesday, June 3, 2014) – Scientists from across Canada are asking Prime Minister Harper to reject the findings of the Joint Review Panel (JRP) in the federal decision to approve or reject the Enbridge Northern Gateway Project. “The JRP report has so many systemic errors and omissions, we—the 300 signatories—can only consider it a failure,” says UBC associate professor Kai Chan, who led the initiative with SFU assistant professor Anne Salomon and UBC professor Eric Taylor. “The report does not provide the guidance the federal government needs to make a sound decision for Canadians about the Northern Gateway Project,” Chan says. · Reached conclusions contradicting the government’s own scientific evidence, including risks to large whales and other marine species. · Unjustifiably dismissed the uncertain risks posed by diluted bitumen spills at sea as unimportant risks. · Relied on information from the proponent, without external evaluation. · Failed to adequately articulate the rationale for its findings. The scientists also point to the Panel’s failure to provide an explanation of how it had reached its conclusions, especially the central one, that the project’s benefits justify its risks and costs. 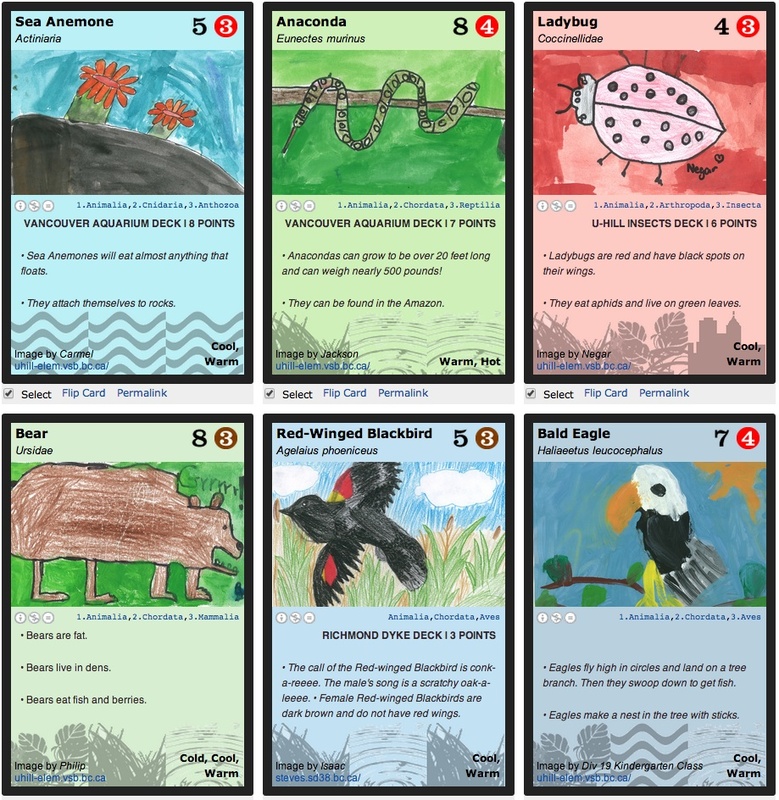 Who wants to design a genetics themed card game? Summer positions for UBC students available at my lab. So, first things first – you have to be a UBC student (undergrad or grad) to be eligible for these (two) positions. As well, I’d be keen to extend the positions beyond the 20 hours per week to a more full time scenario if that works for the successful candidates. Salary/Wage: $16.10 per hour. Minimum 20 hours per week. Approximately 15 weeks during summer months. Apply by: Appointment paperwork needs to go in by April 19th, and I’ll definitely want to be interviewing the best candidates – so maybe by around April 11th is best. Description: The AMBL science education facility within the Michael Smith Laboratories is looking to hire a senior undergraduate student or junior graduate student who is both passionate about biodiversity research and science education. 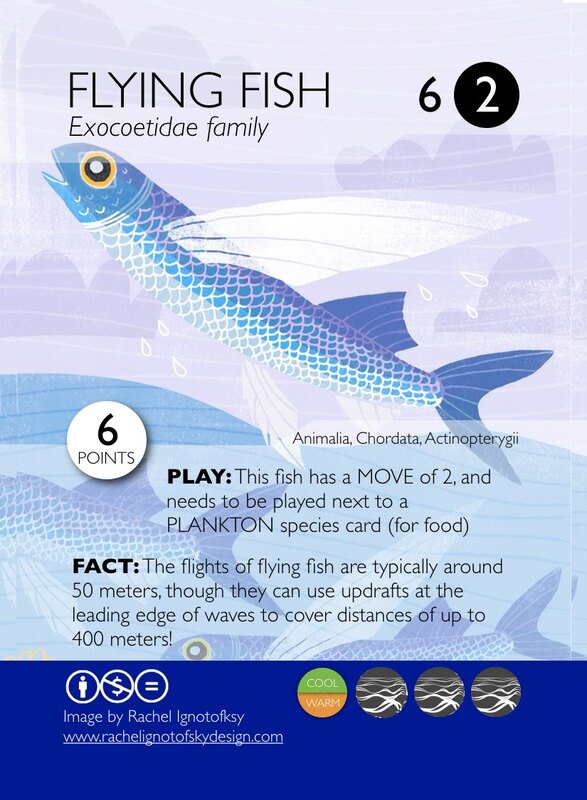 In short, this student will be part of a team tasked to design an educational card game that focuses on a variety of learning objectives aimed to explore the science and genetics of model organisms (i.e. e. coli, yeast, drosophila, xenopus, zebrafish ,mouse). 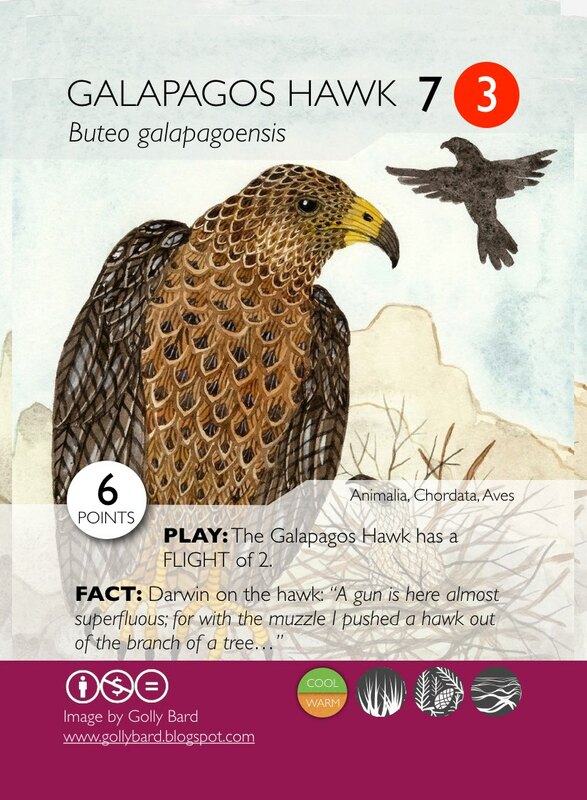 This will be built around existing trading card culture mechanics from the PHYLO project (http://phylogame.org), and slated to be offered as both a freely accessible online resource, as well as stand alone product for physical printing and distribution within educational contexts. 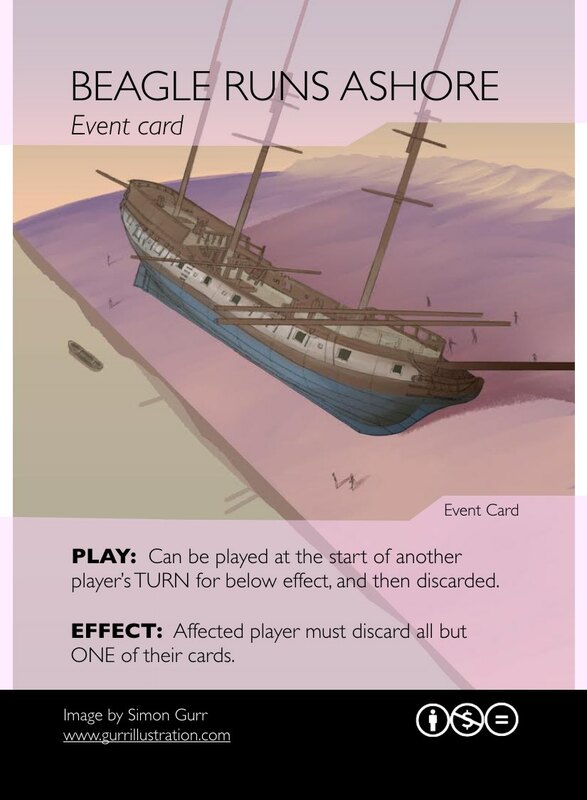 For this stage of the project, the student hired will have a significant role in both the design, and the play testing of the final card game, which is slated for a late 2015/early 2016 launch. Qualifications: Life science background (particularly in molecular genetics) is a plus, though not necessary. Interest in societal and historical issues that encompass science and technology topics is beneficial. Given that the project uses a variety of digital avenues for card design and production, comfort around various blogging platforms and graphic design software is also beneficial. Interest in game development, and general engagement with “games” is also a plus. 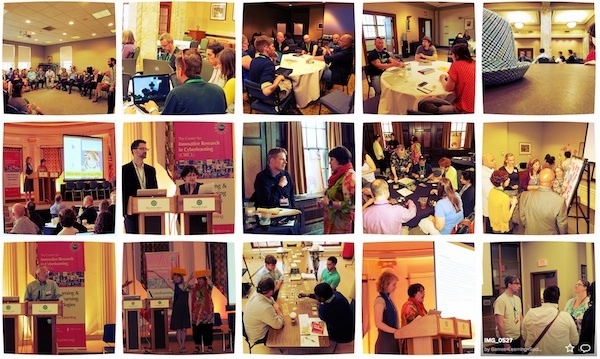 Learning Outcomes: Students will receive a variety of training on science literacy advocacy, game development, science pedagogy, as well as skills related to use of online tools, and some graphic design. Students will be asked to work in both collaborative and independent contexts, with frequent meetings to assess needs and progress. Mentorship would likely involve contact with relevant experts in both the science education sector, as well as those in model organism research (many of which can be found at the Michael Smith Laboratories). 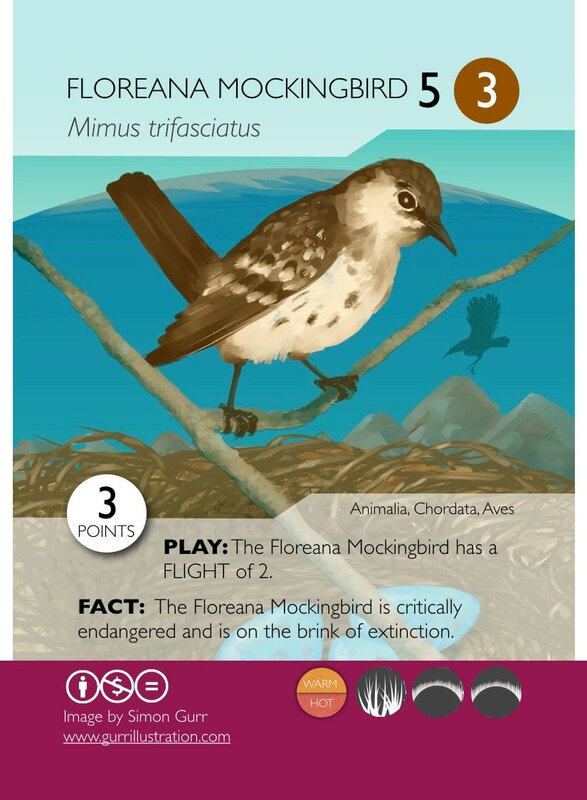 One of the learning objectives examined in the project, will be to see if these cards can be used in both public school setting (high school in particular), but also whether this resource can play a role in undergraduate teaching as well. 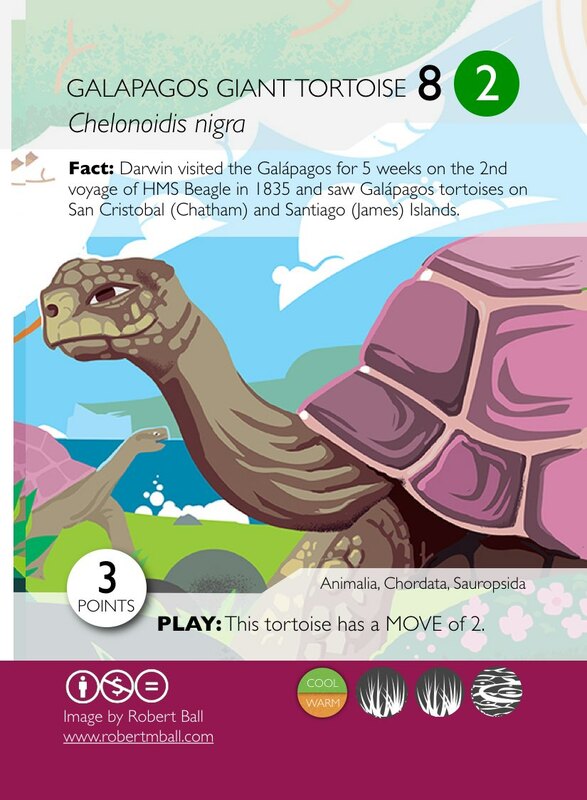 In terms of expanding networks, the Phylo card game project has a number of collaborations in the mix (including those with major natural history museums, such as the American Museum of Natural History, and London’s Natural History Museum). 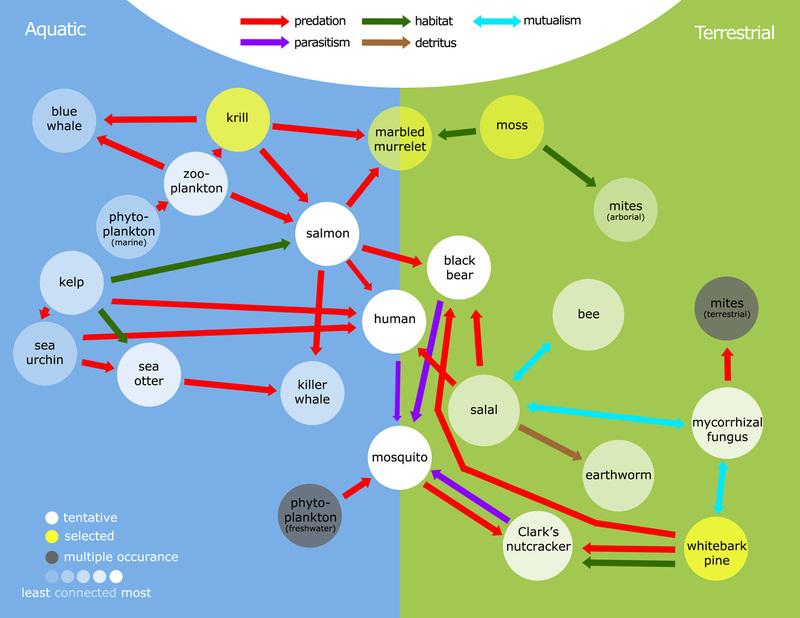 This particular model organism deck will be aligned with the Genetics Society of America. For further details, please feel free to email me at db at mail dot ubc dot ca. You can also apply via this route (I’ll need your CV and a cover letter). Heading to #scio14: a short to-do list. Things have been pretty busy of late, but I’m looking forward to heading out to my third Science Online (or Science Online Together) conference. Like last year, there are a few things on my “to do” list. 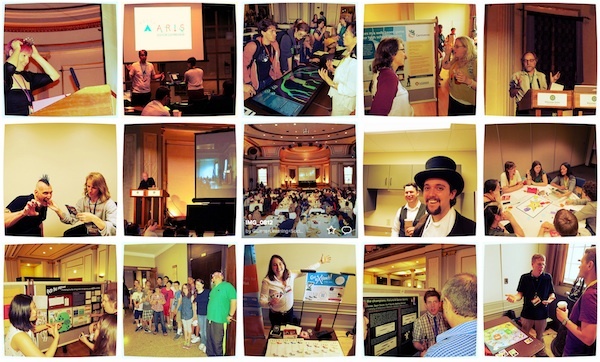 If you aren’t already aware, this conference represents one of the best places to network and mingle with like minded science communication, education folks – more so if you have a mind on exploring new projects and new collaborations. As a personal example, my discussions with folks last year, led to a variety of new projects, most notably this one (on gaming) and this big one (on impressions around science and creativity). Furthermore, it has led to a number of great new contacts, many of which I now consider colleagues and friends. Anyway, without further ado. Here’s my “to do” list below, and do say hello even if the below doesn’t strike your fancy. I’m always game to geek it up! Most pressing of my duties is prepping for my “What is Science Literacy?” session. This will be held on Thursday at 12pm in room 2B. (sched link | forum link | #scioscilit). This session aims to explore “scientific literacy,” and how this concept can inform science communication efforts. It atempts to address the challenges that come with a term that inherently sounds vague. Part of this is due to the concept itself being always in a state of relentless change – which has a lot to do with differing opinions from academics and on-the-ground experts; as well as the current information ecosystem, with its media challenges, a shifting science culture, and also (unfortunately) because of the subversive activities from the likes of L.P.W.L.T.B.L.’s (loud people who like to be loud), P.W.S.P.O.M.I.’s (people with strong political or monetary interests), and of course, the D.C.D.s (dangerously clueless douchebags). In all, I’m hoping the session will provide a guided outlet for folks to share their opinions and expertise on this topic, and whether such techniques are useful (or not) in a variety of settings (i.e. journalism, education, PR, advocacy, policy). Short introduction by way of Petcha Kutcha (Yes! this forces me to only spend about 6 minutes on the intro) format. This will essentially be a rapid fire overview of some of the most commonly discussed themes when considering what it means to be scientifically literate (with reference to the secret keyword: “unicorn”). Note that generally speaking, this usually defers to three areas: (1) knowledge of the scientific process, (2) context driven knowledge of a subset of scientific/technical facts (see session 3D); and (3) appreciation of science culture and how it interacts with other cultural perspectives (see session 2D, 3A, 5D). 3. If you don’t communicate science with a strategic view to “increase scientific literacy”, why not? What might be the detrimental effects of overanalyzing this facet of science content delivery? When is it a useful framework, and when is it unnecessary? 5. At what point does considering scientific literacy become a stepping stone towards science advocacy? Is this a bad thing? Or, in other words, is it for everyone? Should it be for everyone? (* told you it is the worst academic acronym ever). I’ve also prepared a questionnaire form for folks to fill out (if they so desire). This is to see if we can capture additional, and possibly more thought out responses to the questions brought up in the session. As a bit of a bait, I’m offering some geeky science game cards as prizes for those who participate (and note, you can fill this out before, after, and even in lieu of attending the session). Click here for more details and to go to the questionnaire! Have any of you heard of the AWESOME FOUNDATION? This is essentially an ad hoc funding agency, that usually exists city by city. The basic premise is to find 10 folks who can each contribute $1000 towards a central pot of funding. This money (a total of $10000), in turn, is then used to provide small grants to fund small projects (where a project application generally needs $1000) – this, of course, is all deliberated by the 10 individuals involved. 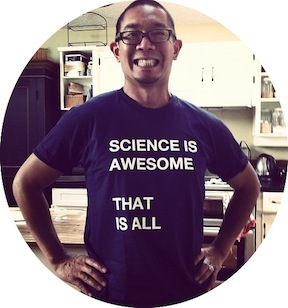 I always thought it would be cool to set up a SCIENCE IS AWESOME FOUNDATION where we can do the same thing but with an emphasis on funding science outreach projects. Anyway, my lab is game to be one of the 10 involved – I might see if there’s general interest in this fun idea within the larger #scio14 community. O.K. Just in the preliminary stages of thinking a bit more about how I might want to moderate my session at the upcoming Science Online Together 2014 conference #scio14. 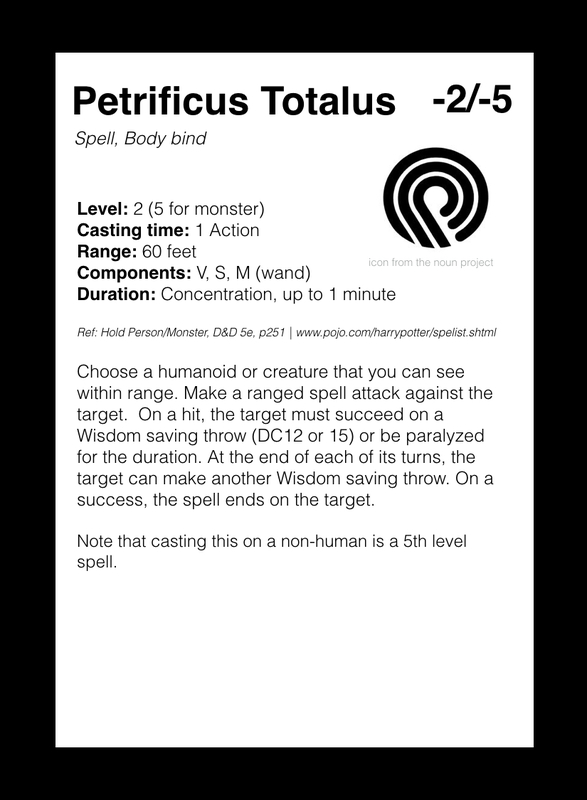 For now, I just wanted to make sure I reprint my pitch (from here), so that I have it on popperfont. 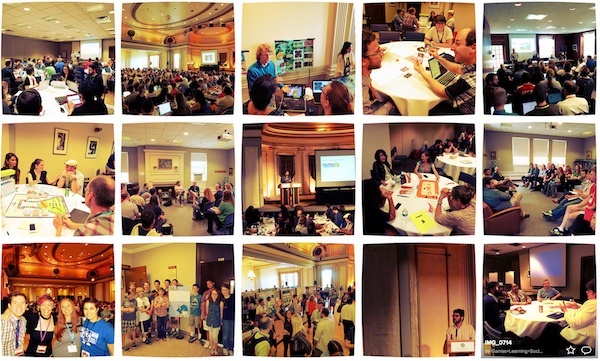 “Lately, I’ve been thinking a lot about “science literacy. A small part of this is because I’m trying to write a book on this very topic: a bigger part is because I’ve discovered that thinking about such things turns out to be far easier than writing about such things. Anyway, what I (and many others) have surmised is that the concept of science literacy is very much a moving target. What you think it is, what the general public assumes it to be, and what academics make of it, tends to vary significantly. Benchmarks will differ enormously if you query a scientist, a farmer, an artist, a teacher, or even that family member of yours that can’t help but tune out whenever we science types open our mouths. Part of the problem is that science literacy always sounds uncomfortably vague, like something you’re pretty sure you’re familiar with, but then on closer examination, realize that maybe you’re not. It’s a bit like asking someone whether they know what a computer is: they’ll always say yes, but ask yourself – do they really? It also doesn’t help that the concept itself is always in a state of relentless change – which has a lot to do with information ecosystems, with media challenges, with shifting science culture, and also (unfortunately) because of the subversive activities from the likes of L.P.W.L.T.B.L.’s (loud people who like to be loud), P.W.S.P.O.M.I.’s (people with strong political or monetary interests), and of course, the D.C.D.s (dangerously clueless douchebags). More on this later, but for now – game on! Michael Fischer, Department of Chemistry, University of British Columbia. DESCRIPTION: This intense 5 day workshop will focus on a myriad of different techniques used in the molecular manipulation of DNA (general cloning, transformation, silica kits, pI kits, PCR, qPCR), RNA (isolation, reverse transcription) and protein (SDS-PAGE, 2D gels), as well as lectures that will describe some high throughput technologies such as SNP analysis, and next generation sequencing. Primarily aimed at researchers who are new to the area, familiar but require a quick updating, or would like more practical bench training. PHILOSOPHY: Whilst molecular techniques have evolved at a blindingly fast rate over the last few decades, the underlying biochemical principles behind the vast majority of them have actually changed little. This workshop therefore combines opportunities to perform the latest, as well as commonly used older techniques, with particular attention to the chemical nuts and bolts behind them. In all, this allows the researcher to not only gain needed familiarity with the techniques, but also achieve a comfortable theoretical level to allow for both (1) that all important skill of troubleshooting, and (2) the often undervalued skill of judging the utility of “tricks” that aim to speed up, or lower costs of a given methodology. NOTE: You can also see our June 2013 editions of our lecture notes, and lab manuallab manual for a frame of reference. Located in the heart of the UBC campus, the Michael Smith Laboratories is a testament to the vision of its founding Director, Dr. Michael Smith. Under his leadership, a gifted team of young scientists were recruited. These scientists have gone on to develop internationally renowned programs of research and training. The second and third floors of the new building are dedicated to the research facilities of the former Biotechnology Laboratory. The Stewart and Marilyn Blusson Education Forum is located on the ground floor and is open to the public. The molecular techniques workshops are held in the teaching lab, room 105 of this forum. If you prefer us to send an invoice, please let us know and we can arrange that accordingly. Note that we can accommodate a maximum of 16 clients, but on occasion up to half of these spaces are already reserved for predetermined group clients. Therefore, it’s best to put your name down as soon as possible if you are interested in the workshop. Your spot in the workshop is secured when we receive your payment. The deadline for receipt of payments is 2 weeks prior to the workshop start date. Unfortunately, we are unable to issue any refunds after this deadline has passed. Workshop will begin each day at 9am sharp and usually end between 4pm and 5:30pm. A detailed final schedule and syllabus will be released to clients as the date draws nearer. All paper materials will be provided on the first day of the workshop. Downloadable versions will be available about 3 weeks before the workshop begins. Whilst we do not require the clients to “study” these documents, we do ask that clients take a moment to peruse the first day practical materials. All safety gear (including lab coats) is provided at the workshop. Here are some accommodation options that are basically on campus. Costs involved would vary (I think the most budget option would be the Vancouver Youth Hostel which is about a 15minute bus ride away). The closest would be those of Gage through UBC conferences. The others (except for point grey house) are all a relatively short walk away. Note: eventually, some of these (I suspect) will be published in full at the Science Creative Quarterly. 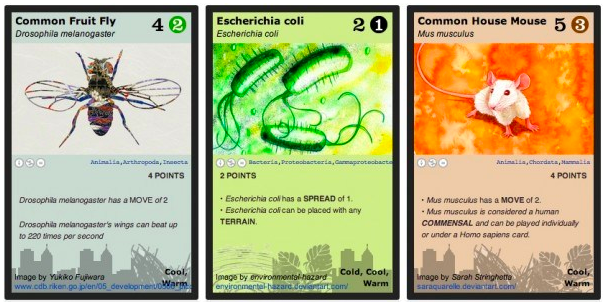 Digging into Phylo, a Science-Based, Crowd-sourced Trading Card Game: An Interview with some dude. O.K. technically, that dude is me, and this is about the Phylo project. Anyway, this was an interview that I did with Barry Joseph, the Associate Director For Digital Learning, Youth Initiatives, at the American Museum of Natural History. Essentially, we’ve been chatting with each other on a collaboration between the Phylo project and the museum, that will involve pterosaurs (yes, that’s right! These things!). 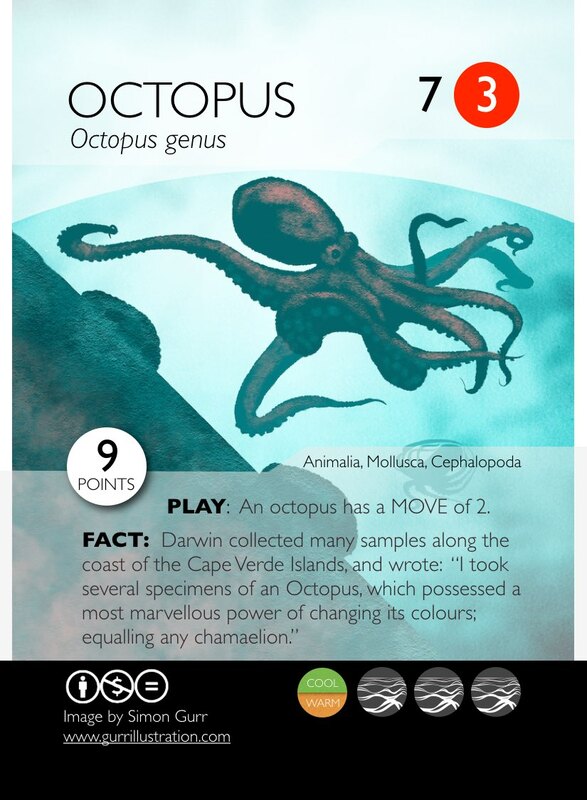 ￼￼￼￼￼￼￼￼Let’s see… Basically, it’s a trading card game (TCG) that also happens to be freely available. 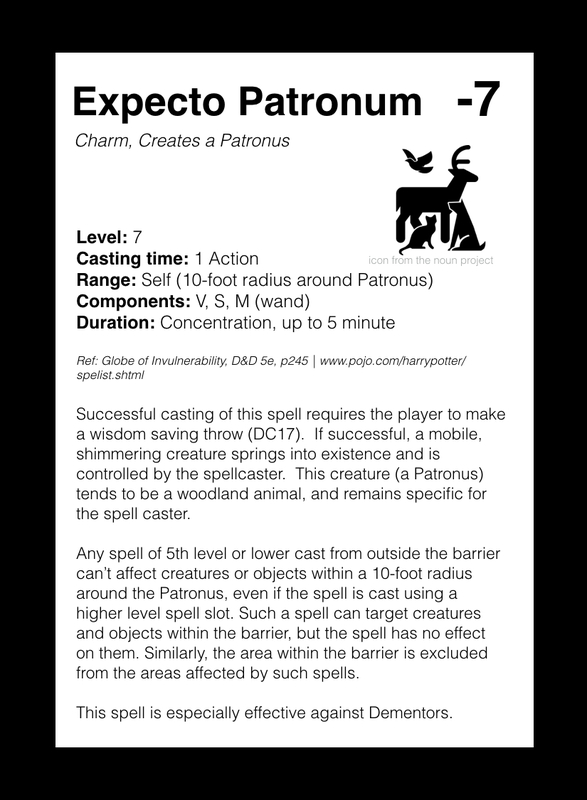 Just go to phylogame.org, and you can download a starter deck to print out and you and a friend can start playing. 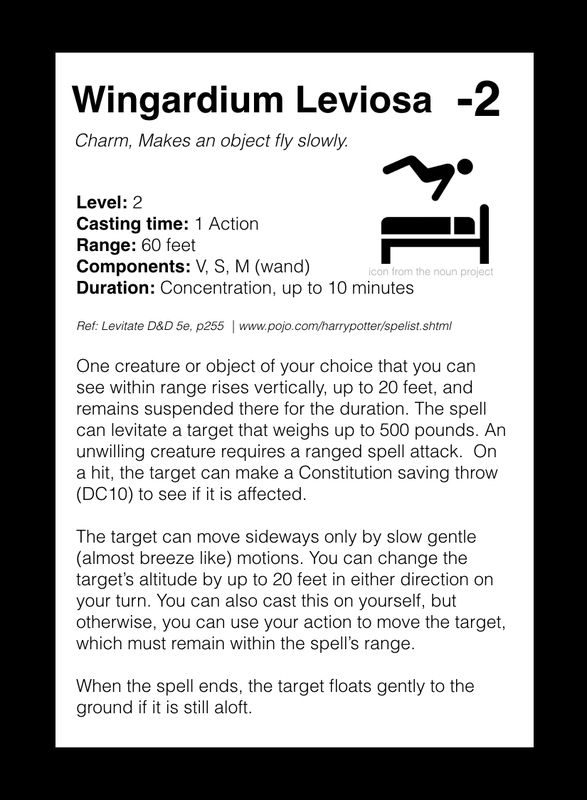 You can also build your own decks, because the website has been designed to allow you to choose other cards (about 500 are available to date). 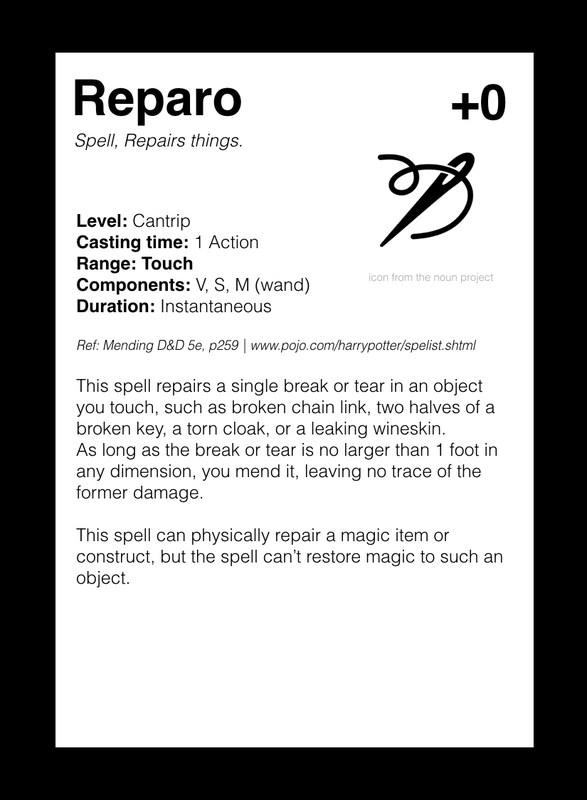 In many respects, this is similar to other TCG systems, except the collectability element is different (you print your own, as oppose to buying packs). The gist of some new research directions. On impressions around science and creativity, and the space between them. 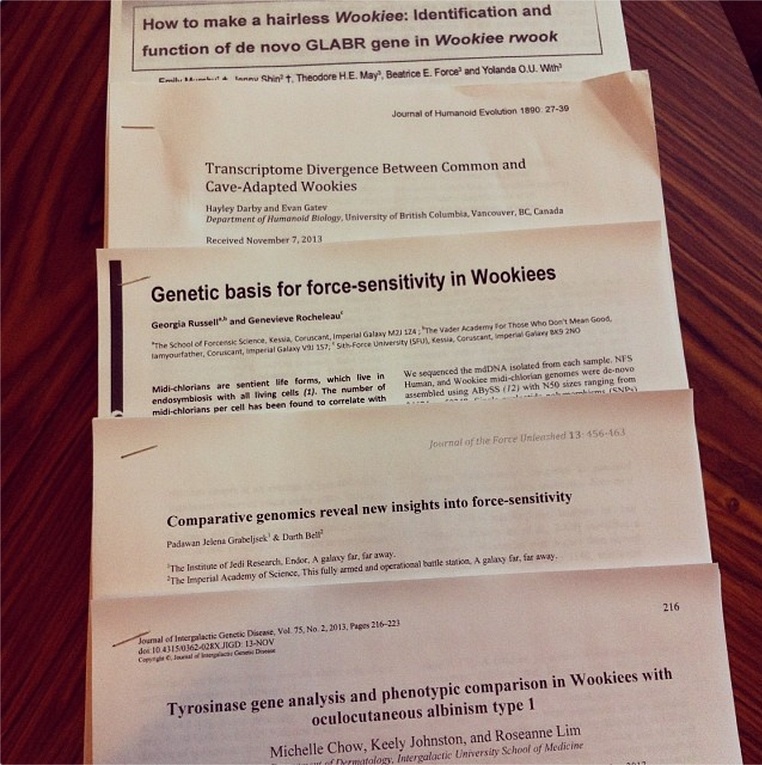 This is just a heads up that my lab will be “having a go” at some new research queries. Specifically, one that examines the interspace between impressions of “science” and impressions of “creativity.” In fact, tonight I’m heading to Calgary to meet up with Marie-Claire Shanahan and take a crack at the first draft of the grant proposal. In the meantime, however, you can stay in the loop with our progress at our open research blog. 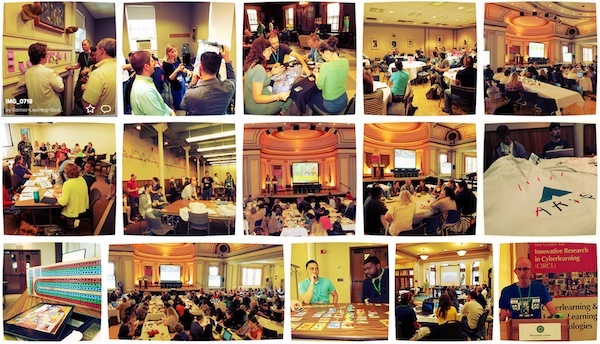 Below is a quick (grant-speak-ish) write up of what we hope to do. Science is a creative endeavor. This is obvious to many who actively participate in scientific research as they see their work as a continuum of creation, whether it leads to product or discovery. Similarly, the notion that science is creative is also obvious when viewed under the lens of those who study “creativity,” a term that is rich with diverse interpretations but often abridged as “the ability to create work that is both novel and appropriate” (Sternberg and Lubart, 1999). Despite this clear agreement, public perceptions around science, including those perpetuated in classroom settings, almost universally exclude the role of creativity (Braund, 1999). As a result, this detachment leads individuals away from an authentic view of science, which not only creates false impressions, but could also lead to a loss of scientific identity (where one considers “who we think we must be to engage in science”, Calabrese Barton, 1998, p. 379). This, in turn, could culminate in an unintended estrangement. Under this context, this research will aim to explore notions and impressions of both authentic science and creativity, and the effect of science educational programming that actively promotes their connection. Here, the aim is to build research queries around the activities of a science education lab that: (a) operates within, and therefore has unparalleled access to, a highly regarded multidisciplinary scientific research unit – the Michael Smith Laboratories at the University of British Columbia; and (b) has already shown an inclination towards programming that relies on collaborations between scientific and artistic communities. Given that this programming also extends over a variety of school grade levels (elementary and secondary), takes place in a state of the art genetics research (authentic) space, involves participant numbers in the 1000s, and is malleable towards specific research interests; this collaboration and this research is viewed as an unprecedented opportunity to delineate the effect of the science and creativity disconnect in public perception. Since, we’ve set this up as an open blog and all, we’d love to hear what people think. Check it out here. 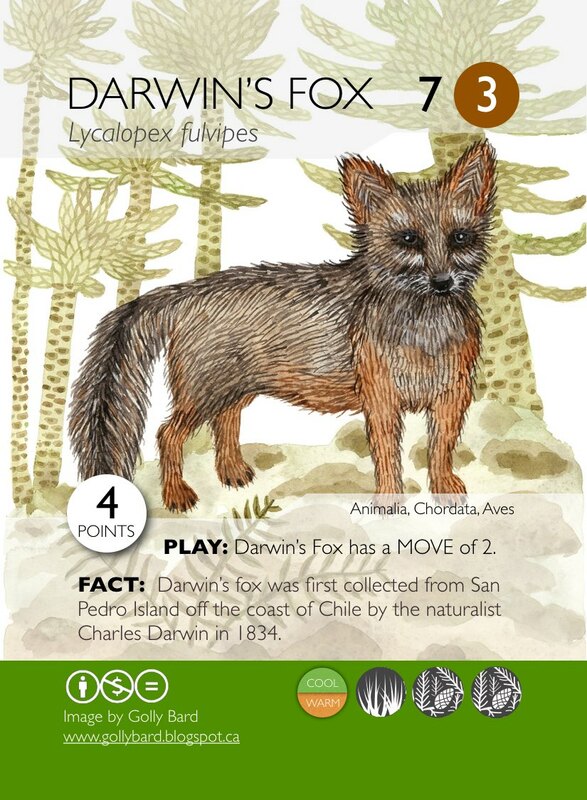 In case, you’re new to Phylo, it’s basically a crowdsourced art, science, education and gaming project that revolves around the unfortunate reality of children knowing WAY more about Pokemon than they do about the flora and fauna around them. This, of course, is problematic since one might suggest that it’s not a bad thing for children to want to know a little more about the real environment around them (a more detailed description of the project can be found here). 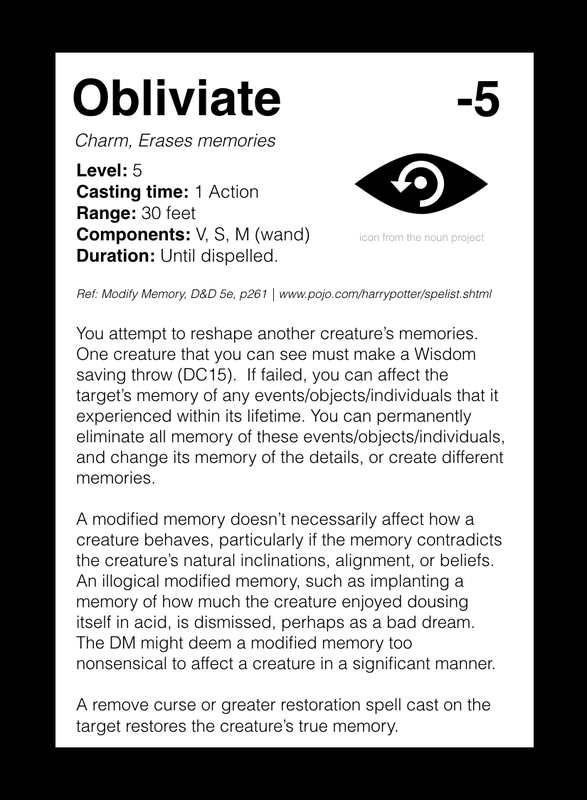 Up to now, the Phylo project has been largely about collecting and playing with a continually pool of very cool and free print-your-own cards. But now, I’m happy to announce, we finally have our first high quality deck, available for purchase! So let me introduce the (DUM DUM DUM!) 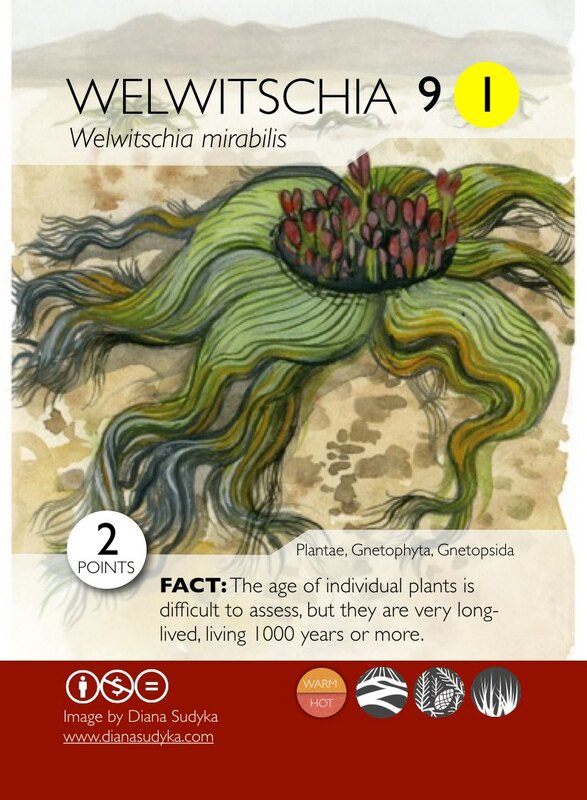 Beaty Biodiversity Deck, currently available at the Beaty Biodiversity Museum gift shop*. It’s on sale for limited time (10% off from $12.99, until September 1st), so if you live in the neighbourhood and want to pick up one of the first available sets, head on over to the museum! This is the first purchasable deck, but stay tuned as we have a few more slated to be released in the near future. For now, here are some close ups of the Beaty cards! Art Lindsay Chetek, Kyu Hwang, Brandy Masch, Kyle McQueen, Victoria Heryet , Derek Tan, and Alexandria Neonakis. 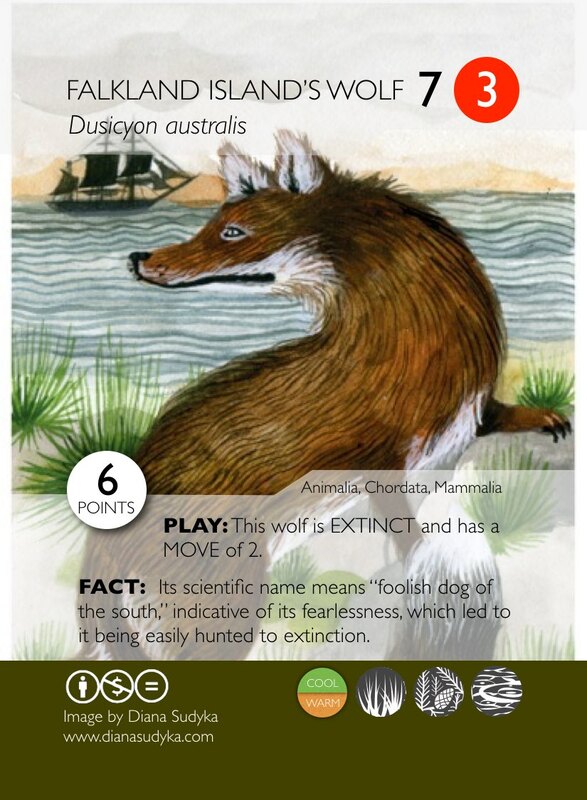 *The museum is also working on making the deck available for online purchasing, so check out this link for more information!